Have you noticed that your cat has been sneezing a lot, but it generally only happens certain times a year? Or does your dog seem to have chronically itchy ears or skin? It is possible that your pets are suffering from allergies. Just like humans, our favorite feline and canine friends can have allergies. Whether they are allergic to pollen, or dust, or certain types of foods, both dogs and cats suffer a lot like we do. But what do you do if your pet is clearly uncomfortable? Not unlike those of us who walk around on two legs, our four-legged fur babies are subject to many of the same ailments that occur when we interact with the world around us. Whether they are seasonal allergies that happen like clockwork through the year, or allergies to certain foods or ingredients, dogs and cats tend to suffer in silence. It is important that you look closely at your pet's behavior and lifestyle to determine if she is suffering from allergies or something else. The first step is to be familiar with some of the most common allergens for pets. Both dogs and cats can be plagued by seasonal allergies. Pollen specifically from grass or trees might be causing your cat to get the sniffles or your dog to sneeze. Molds, dust mites, and even dander from other animals can also lead to symptoms. So, yes, your cat can actually be allergic to your dog. Other environmental factors may be in play, like cleansers or specific materials or fibers. As with seasonal allergies, your pet may also have a food allergy. Common food allergies for both cats and dogs include beef, dairy, corn, soy, chicken, rabbit, wheat, egg, and fish. While it isn't likely that your dog has a food allergy, if he does, it is possible he will be allergic to more than one thing. It is important to determine if your pet has a food allergy or an adverse food reaction. A food allergy can cause some severe symptoms and will happen every time your pet encounters the specific food. An intolerance usually will only cause digestive issues that are less severe. Humans definitely have a tendency to equate food allergies, or adverse food reactions with food intolerance often times leading to misdiagnosis or misperception that food allergies are more common than they are. So, while a food allergy isn't common, if it is happening, it is best to identify it right away. A scourge for all pet owners, the flea is another pesky allergen for animals. Well, not the flea itself but its saliva. 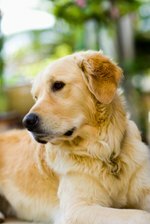 Both dogs and cats can have or even develop an allergy to flea saliva resulting in itchiness, discomfort or swelling when bitten. Pollen allergies in dogs and cats can be treated in much the same way as humans. The best bet is to avoid the trigger, but if that doesn't work, a Benadryl or other kinds of over-the-counter allergy medication such as Allegra can help alleviate the symptoms. Talk to your vet before giving your pet any kind of medication to make sure that you are using the correct dosages. If your dog or cat is itchy from pollen, a nice bath might help to remove any residual particles from their fur. For pets with food allergies, you might consider making your own pet food for a while, at least until you can pinpoint exactly what your dog or cat is having an issue with. Simple meals made from unseasoned and only a few ingredients that provide a balanced diet are best. Once you know what is causing the issue, avoid it. You should see improvement within a week or two. Flea treatment is key to treating a flea allergy. There are several shampoos and medicated options to treat fleas that are available, or you can make a homemade version to combat the dermatitis, or skin irritation. Are certain breeds more likely than others to have allergies? The short answer to this question is yes. In a study done with cats, dogs and horses in 2015, scientists were able to pinpoint common seasonal allergies as well as which specific breeds might have an increased chance of developing them. For dogs, this list is pretty extensive and includes Retrievers, Setters, Terriers, French Bulldogs, Dalmations, Collies, Rhodesian Ridgebacks and others. For cats, the list is shorter with only Abbysinians and Devon rex cats listed as more likely. If you suspect that your beloved pet is suffering from allergies, it's a good idea to see the vet. She can help you pinpoint exactly what your dog or cat is reacting to and help you to create a game plan for combating the symptoms.